Resource on 20th-century avant-garde, modernism and experimental arts in Norway. First published in September 2013. Several Norwegian painters got acquainted with abstract art during their studies in Paris in the 1910s and 20s. They participated in a number of exhibitions in Norway and internationally, showing their works next to the likes of Léger, Picasso, Gris, Mondrian and Sonia and Robert Delaunay. Thorvald Hellesen, moved to Paris in 1912 where he married and settled down. From around 1914 his works read the influence by Orphism and a constructive form of Cubism approaching the non-figurative. 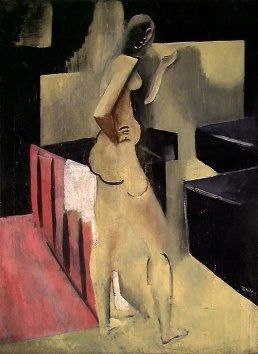 Some of the works from 1916 are heavily influenced by Picasso and his synthetic cubism. 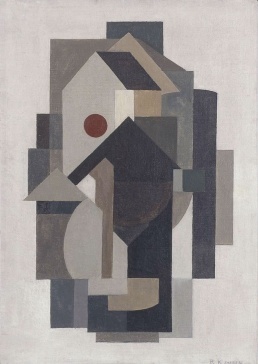 From 1915 onwards he often included elements of collage in compositions, eg. silver paper, pieces of wood and other objects. Around 1920 Hellesen developed formal language in the directon of Léger's "machine cubism", which paralleled in pursuit of applied arts, since he worked in pattern drafting for textile and wallpaper industry, and also carried out posters and theatrical projects. Later he got involved, like many other artists in Paris of the 1920s, in decoration works for the new avant-garde architecture. Works, , . Ragnhild Kaarbø studied with the early fauvist Kees van Dongen (1912–14) in Paris, where she lived again in 1920-30. 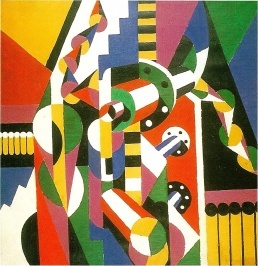 She continued her studies with André Lhote (1921–23), at Académie Araujo (1922–23), and with Léger and Ozenfant at Académie Moderne (1925–27). She was among the artists of the Cubist exhibition in Oslo in 1927. After her return to Oslo in the late 1920s she returned to Impressionism. Works, . Ragnhild Keyser stayed in Paris in 1920-35. 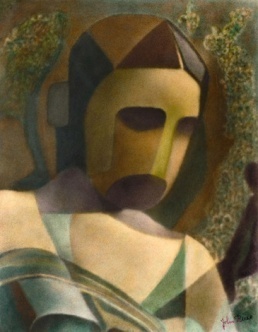 She studied with André Lhote (1920–23), at Académie Ranson (1923), Académie Moderne (1922–23, 25), and Académie Araujo (1922–23). Her "non-figurative purist" works were made in the period 1925-27. Works, . 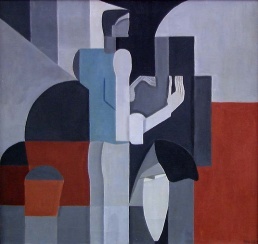 Charlotte Wankel studied from 1910 at the well-established Académie Henri Matisse, and later at Académie Araujo (1922–23), and with Léger and Ozenfant at Académie Moderne (1925–27/29). 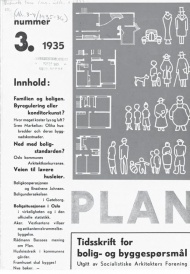 In 1922 she draw Le Corbusier-inspired plan for her mother's family's new house at Blommenholm in Bærum. 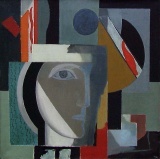 Her work from 1927-29 draws a lot from purism. She participated in the 1927 Cubist exhibition in Oslo and held another two solo shows in her homeland in 1930 and 1934, however harsh criticism in the press triggered her gradual withdrawal from the art world. Works, . Thorvald Hellesen's retrospective in Tivoli exhibition building, Oslo, 1919, with his works of the past 7-8 years. 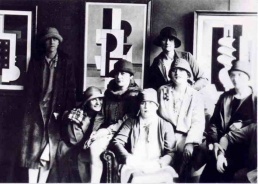 Otte skandinaviske kubister [Eight Scandinavian Cubists] exhibition, Kunstnerforbundet [Artists' Association], Oslo, 1927. With the works by eight students of Academie Moderne in Paris, including Kaarbø and Wankel. Met with bewildered reactions from art critics calling for boycott of the Association. Unionalen exhibitions (1927-31). Unionalen was an association of Scandinavian artists, primarily students of Henri Matisse, who returned from their stay in Paris. "The Maison Watteau academy in Paris had became an important meeting place both for Scandinavian and international avant-garde artists after World War I. When the Parisian art market collapsed in the late 1920s several Scandinavian artists decided to return to their respective countries. However, they wanted to hold on to the 'Parisian experiences'. Hence, the Unionalen was invented to be an ambulant Scandinavian substitute to the Paris node. 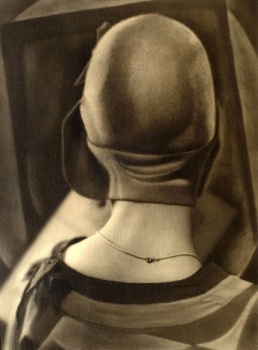 Unionalen was initiated during a gathering in Henrik Sørensen’s studio in Paris in 1926. The main idea was to establish a continuation of the artist community and network in Paris through more or less casual events. Nils Dardel designed the flag of Unionalen with yellow, red and blue dices on white background to be hoisted in front of the entrance on each venue. The first show opened in Stockholm, 1927, the next in a dismantled bank building in Oslo, 1928, and the last and most successful at Charlottenburg in Copenhagen in 1931, with more than 20 000 visitors. The artists behind the drive insisted on an international and open attitude and hoped also to produce an event in Paris. This became impossible because of political reasons." (from Kari Brandtzæg's paper abstract ). Charlotte Wankel's first solo exhibition in Norway, 1930. 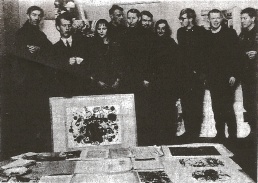 Ragnhild Keyser's first solo exhibition, Blomqvists, Oslo, 1932. Charlotte Wankel's second solo exhibition in Norway, 1934. Female Pioneers - New Voices exhibition at Lillehamer Kunstmuseum, 2013. With works by Keyser and Wankel. Unionalen 5-27 februari 1927, Stockholm: Liljevalchs konsthall, 1927, 39 pp. Catalogue. Harald Hansen (ed. ), Unionalen: Stockholm, Oslo, København, Copenhagen, 1931, 91 pp. Tania Ørum, Ping Huang, et al. (eds. ), A Cultural History of the Avant-Garde in the Nordic Countries 1900-1925, Amsterdam/New York: Rodopi, 2012, 680 pp. ISBN 978-90-420-3620-8. , Preview, Review. Ellef Prestsæter, "The Avant-Garde as Network. Interview with Tania Ørum", Kunstkritikk, 23 April 2012. Line Ulekleiv (ed. ), Kvinnelige pionerer - Nye stemmer, Lillehammmer: Lillehammmer Kunstmuseum, 2013, 20 pp. Catalogue. Hilde Mørch on Ragnhild Keyser. 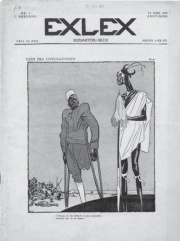 Exlex [Lawless], satirical weekly, Feb 1919-Dec 1920, 96 issues; issue 26 (Aug 1919) and onwards were published in Copenhagen. The second year the magazine used a slogan "The only Scandinavian Magazine for Art and Satire". Its founding editor, illustrator Ragnvald Blix, had had his formative years in Copenhagen, Paris, and Munich (he worked in the satirical weekly Simplicissimus for over ten years), and recruited artists and writers from across Scandinavia in the hope of building a stronger and better Scandinavian community--primarily with the ambition of creating a high-quality satirical magazine. Contributors included illustrators Olaf Gulbransson, Anton Hansen, Adolf Hallman, Ossian Elgström and Robert Storm Petersen, and the poet Herman Wildenvey. Oslo's Fotogalleriet held an exhibition of his work in 1994. In 2006, Henie-Onstad Art Centre mounted his retrospective, which traveled to New York the next year, and was followed by another one in 2011. John Olav Riise: Fotografier, Henie-Onstad Art Centre, 2006, 96 pp. Catalogue with an essay by Eva Klerck Gange. (in English/Norwegian) . Jean Heiberg lived in Paris in 1905-12. He got acquainted with Fauvism and Cubism, and was the first of a number of Norwegian painters who studied under Henri Matisse (1908-10). He is also known for one work in industrial design: when he returned to Norway in 1929, he was commissioned to design a bakelite telephone terminal for Elektrisk Bureau (up till then, telephones had been made out of metal; bakelite was invented in 1909 by Leo Baekeland). Heiberg had produced the huge painted plaster prototype, however it proved to be too difficult to cast in bakelite; and the later model had smooth surface and sharp edges. 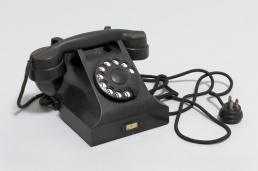 The phone went into production in 1932 as the Ericsson model DBH 1001, and is claimed as the world's first "hookless" bakelite telephone, that is the first telephone where the cradle, or receiver hook, was integrated into the all-bakelite body. The engineering design of this model was made by Johan Christian Bjerknes. The model was sold throughout Scandinavia, in Britain, Italy, Greece and Turkey, and (through Siemens) in France and the USA; staying in production for over twenty years. See also 25-minute documentary from Arte TV.    . Heiberg's works at DigitaltMuseum.no. The King (1934-35) by Nesch. 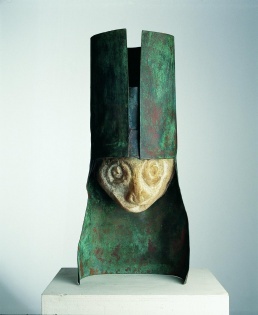 A carved quartz head swathed in a cape of patinated copper sheeting. Source. Rolf Nesch was born in Germany, and moved to Norway following the Nazi takeover in 1933. Inspired by Norwegian scenery and working life, he discarded canvas and paintbrushes  for good, and turned to printmaking. He developed his own techniques for metal prints  and so-called Snegraffik [material pictures] , for which he used a range of materials: metal plates, copper wire, wood, stone, glass, mica, rope, nails, and so on. His metal prints include Elbe Bridge I (1932), Snow (1934) in a series of 20 (black and white), 21 metal prints of fisheries off the Lofoten Islands (1936) , 10 metal prints inspired by poems of Henrik Rytter (1937); and others. Material pictures [Snegrafikk]: Double Lion of Babylon (1934), Reclining Woman (1934), both large zinc plates with metal wire soldered to them; the three-part Music (1934-35); the high relief and abstracted figures of Peace (1935-36) whose theme is the 1915 Eastern Front; etc. He also created distinctive sculptures, mostly figures in stone and bronze . 1938 saw his first exhibition of material pictures, held at the premises of Kunstnerforbundet in Oslo. 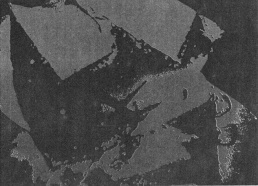 Nesch's metal-plate technique is described by Sidsel Helliesen of the National Museum; Eivind Otto Hjelle writes about his material pictures. His work provided inspiration for the abstract artist Olav Strømme and many other Norwegian Modernists in the 1930s. Kurt Schwitters fled to Norway in January 1937. The same year he started a second Merzbau in Lysaker near Oslo, but abandoned it in June 1940 when the Nazis invaded, and fled to Scotland. His stay in Norway passed mostly unnoticed. The Merzbau was subsequently destroyed in a fire in 1951. His hut on the Norwegian island of Hjertøya, near Molde, is also frequently regarded as a Merzbau. For decades this building was more or less left to rot, but measures have now been taken to preserve the interior. The book Schwitters in Norway was published in 2009 (see below). Since 2010, Henie-Orstad Art Centre hosts the Kurt Schwitters room, being the largest permanent presentation by the artist's works outside Germany. During the occupation of Norway by Nazi Germany, Jean Heiberg and Axel Revold were fired from their professorships at the Norwegian National Academy of Fine Arts in autumn 1941. Eventually they secretly started running an undercover art academy in Oslo, called Fabrikken [The Factory], as its first location was in a closed corset factory Norena (at Pilestredet 15). They were later located at Lauritz Falk's home at Frogner, at Johannes Sejersted Bødtker's studio at Holmenkollen, and in autumn 1944 in a warehouse in Thereses gate. Scholars who have researched Norwegian avant-garde and modernism include Hilde Mørch (Kunsthistorisk Prosjektsenter), Kari Brandtzæg (UiO Oslo), and Eirik Vassenden (HiB Bergen). In 2004, the large Nordic Network of Avant-Garde Studies research project started with the aim to produce a series of four international conferences on Nordic avant-garde art, each to be followed by a book. The first was dedicated to analysis of the period 1900-25 and was held in Copenhagen in 2009 (with a volume published in 2012, see above); the second one (1925-50) is to be held again in Copenhagen, in October 2013. Gunnar Sønstevold experimented with electronic instruments in his music for Shakespeare's The Tempest at the Norwegian Theatre in 1957; adhered to Schoenberg's twelve-tone technique. In the late 1960s, Arild Boman acquired DIMI-T synthesizer and collaborated with the Finnish electronic art pioneer Erkki Kurenniemi﻿ at the University of Oslo . His computer music works from 1967-69 were presented at the Norwegian pavillion at the Paris Biennial in 1969 (see below). Arne Nordheim, Norway's most celebrated composer after Edvard Grieg. NRK documentary (44 min, in Norwegian). Bjørn Fongaard, known for his works for a specially designed 'micro-intervallic' guitar. Kåre Kolberg created a computer music piece in 1973, among his other works. 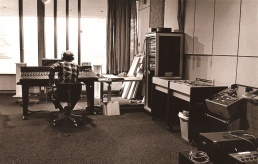 Hal Clark, founding director of Electronic Music Studio; lived in Norway throughout the 1970s. Knut Wiggen worked in Sweden; founding director of Stockholm's Electronic Music Studio. The Norwegian section of the International Confederation of Electroacoustic Music (NICEM). Norwegian Center for Technology in Music and the Arts (NOTAM), established in 1992. Until 2008 it operated under the name Norwegian Network for Technology, Acoustics and Music. Trailer for the upcoming documentary Subharchord – A Child of the Golden Age by Ina Pillat. Performances of Bjørn Fongaard's Uranium 235 for orchestra in Oslo and Reykjavik, 1965-66. None of the performances took place because the musicians were unable to read the notation (Fongaard was developing his notation system, inspired by modernists such as Hindemith, Schoenberg and Webern). This later led the composer to peform his music on specially designed guitar. See his page for more. 1968, first performance of Arne Nordheim's electronic production, Solitaire, with lightning by Terje Moe. In 1968, a Subharchord electronic sound generator was smuggled to Norway from East Berlin (while there were only about seven ever built). The head of NRK's ​​music department, Gunnar Sønstevold, used the instrument in NRK studio for electronic music. The instrument could produce sounds and timbres for various television productions. However, it is unclear how it was actually used. After a while, the instrument was moved from the studio to the home of Sønstevold. 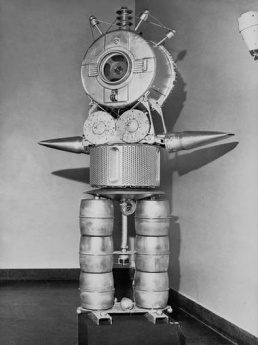 Today it is part of the collection of the Norwegian Museum of Science and Technology. . Since 2010, Ina Pillat is working on the documentary Subharchord – A Child of the Golden Age. Trailer, . Electronic music concert-series Elektrofoni, Henie-Onstad Art Centre, 1968-83. Seminar and concert with Karlheinz Stockhausen in the Henie-Onstad Art Centre, 1969. Haagen Ringnes’ TV-show Åpen Post on the subject popmusic in Autumn 1969 featured actress and singer Elisabeth Grannemann's parody performance which included throwing dishes and yelling, with direct reference to composer Arne Nordheim's music. 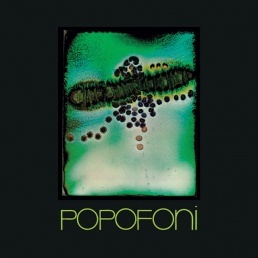 This eventually resulted in a double-LP with avant-garde pop songs from five composers, entitled Popofoni (see below). More detailed account of the story, and another one in Norwegian. World premiere of Mauricio Kagel's Exposition on the tenth anniversary of the Henie-Onstad Art Centre, 1978. Norwegian Studio for Electronic Music (NSEM), 1975-78. Founded by Hal Clark and Arne Nordheim at the Henie-Onstad Art Centre, while it was run together with the Music Academy, Norwegian Broadcasting Bureau (NRK), and Composers Union. As a result of controversy it moved to the Academy, and soon dissolved. 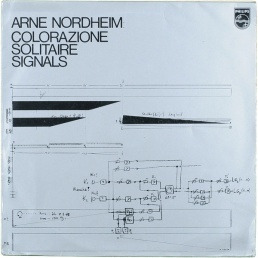 Arne Nordheim, Contemporary Music From Norway, Philips ‎(839.250 AY), LP, 1967. Compositions: Canzona Per Orchestra; Epitaffio Per Orchestra E Nastro Magnetico; Response I For Two Percussion Groups And Magnetic Tape. . Epitaffio later appeared on Music Of Arne Nordheim, Decca ‎(HEAD 23), LP, 1979, , and on Epitaffio / Doria / Greening, Aurora (NCD-B 4931), CD, 2000, . 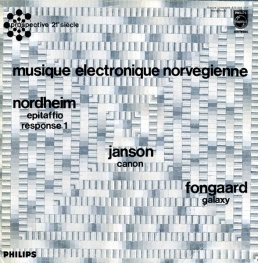 Bjørn Fongaard, Alfred Janson, Arne Nordheim, Musique électronique norvégienne, Philips (DSY 836 896), LP, 1968, . Compositions: Nordheim's Epitaffio and Response I; Janson's Canon; Fongaard's Galaxe, op 46, 1966. UK version, Philips ‎(4FE8002), 1968, . US reissue, Limelight (LS 86061), 1970, . .
Bjørn Fongaard's composition Homo Sapiens appeared on the compilation Nordic Music Days 1968, Vol 3, EMI & Odeon, LP, 1969. .
Arne Nordheim, Colorazione / Solitaire / Signals, Philips (845 005 AY), LP, 1969. Compositions: Colorazione; Solitaire; Signals. Realised at Studio Eksperymentalne, Warsaw. .
VA, Popofoni, Sonet ‎(SLP 1421/22), 2-LP, 1973. Contains tracks by Gunnar Sønstevold, Nordheim, Alfred Janson, Kåre Kolberg, and Terje Rypdal. "Holy grail of Norwegian free-jazz and electronic music." . Reissued by Prisma Records ‎(PRISMALP001), 2-LP, 2012, , . Arne Nordheim, Sigurd Berge, Bjørn Fongaard, Contemporary Music From Norway, Philips (6507 034), LP, 1973. Tracklist: Nordheim, Fem Osaka-Biter [Five Osaka Fragments]; Berge, Månelandskap [Moon Landscapes]; Berge, Munnharpe [Jew's Harp]; Fongaard, The Space Concerto For Piano And Tape; Berge, Humoreske [Humoresque]; Berge, Eg Beisla Min Støvel [I Harnessed My Boot]; Berge, Erupsjon [Eruption]. .
Arne Nordheim, Electronic Music, Philips ‎(6507 042), LP, 1974. Compositions: Warszawa, 1970; Pace, 1970; Lux et tenebrae, 1970 (concrete and electric sounds for Osaka Expo 70). Recorded at Studio Eksperymentalne, Warsaw. . Reissued by Norwegian Composers ‎(NC 3842), 1985. .
Arne Nordheim, Electric, Rune Grammofon (RCD 2002), CD, 1998. 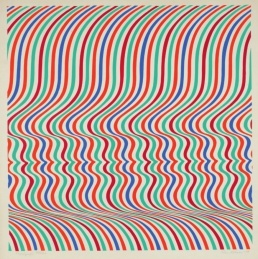 Compositions: Solitaire, 1968; Pace, 1970; Warszawa, 1970; Polypoly, 1970; Colorazione, 1968. Recorded at Studio Eksperymentalne, Warsaw. , , . Kåre Kolberg, Nova, Prisma Records (PRISMA CD705), CD, 2009. Contains Nova, 1972 (composed for a multimedia installation, see above). , . Sigurd Berge, Early Electronic Works, Prisma Records (PRISMA CD708), CD, 2010. The disc contains previously unreleased pieces Eg beisla min støvel, Preludium, Ritual, Sørgemusikk, and Erupsjon; the musique concrète piece Delta, which Berge also used in a collaboration with the avant-garde jazz trio Svein Finnerud in 1970; and the excerpts from electronic music composed for the multimedia installation Blikk (see above). , , . Bjørn Fongaard, Elektrofoni: Works For Micro Intervallic Guitar 1965-1978, Prisma Records (PRISMA CD711), 3-CD & 5-DVD, 2010. , . The Wire review. Rolf Aamot, Tonal Image Films 1968-1991, Prisma Records, CD, 2011. Works: Actio, 1980; Kinetisk Energi Part 1 & 2, 1968; Nordlys [Northern Lights], 1991; Progress, 1972; Viisuelt, 1971. The disc contains audio part to Aamot's tonal image films. The music consists of abstract sounds and movements from different electronic sources, interacting with pre-recorded and prepared acoustic instruments and human voices. , . Kåre Kolberg, Electronic Works 1970-1973, Prisma Records (PRISMALP002), LP, 2012. Contains three works: Nova, 1972 (composed for a multimedia installation, see above), Omgivelser, 1970, Keiserens Nye Slips [The Emperor's New Tie], 1973 (recording previously appeared on a 1980 compilation by Philips and Kolberg's 1988 compilation by Aurora). , . VA, I Want The Beatles To Play At My Art Centre, Prisma Records ‎(P004), 2-LP, 2012. Contains compositions by Nordheim, Berge, Fongaard, Kolberg, Hal Clark, John Cage, Magne Hegdal and others. With a DVD. , , . Hal Clark, Electro-Acoustic Works 1974-75, Prisma Records (PRISMACD716), CD, 2013. , . Interview with Hal Clark about the Electronic Studio and music scene in Norway of the mid-1970s, sound recording, KPFA, 52 min, February 1975. Hal Clark, The Norwegian Studio for Electronic Music: A Comprehensive Instruction Guide, Høvikodden: Norsk Studio for Elektronisk Musikk, 48 pp. Hal Clark, "Norges første lydstudio", in Høvikodden Live 1968-2007, 2007. (Norwegian). Excerpt. "Various ‘Eh bien, la Norvège…’", Continuo blog, 14 September 2009. John Cage in Norway, Høvikodden: Henie-Onstad Art Centre, 2010, 64 pp. With a CD. Dedicated to Cage's visit to Oslo in November 1983. , , . Yrke: Komponist [Occupation: Composer], a documentary film about Arne Nordheim made by Istvan Korda Kovacs, 1 hour, 1974. Included on Arne Nordheim, Selected Works for Television 1967-1974, Prisma Records, DVD, 2013. Blikk by Jæger, Berge and Vold, 1970. Nova by Kjær and Kolberg, 1972. From the mid-1960s the optical and kinetic forms of expressions were shown at the Kunstnernes Hus in Oslo, particulary during the short-lived chairmanship of the leading experimental, radical left-winger Morten Krohg (1967-69), and at the Henie-Onstad Art Centre at Høvikodden which opened in 1968. Odd Tandberg was the first in Norway to try to create mobile visual images using electric motor-driven plastic and glass elements. Siri Anker Aurdal's neo-constructivist sculptural/social space was presented in 1968; to be reconstructed in 2013 for an exhibition in Stavanger . Irma Salo Jæger's geometrical installations of polaroid and refractive materials moved the multi-coloured light (Kunstnernes Hus, May 1968). 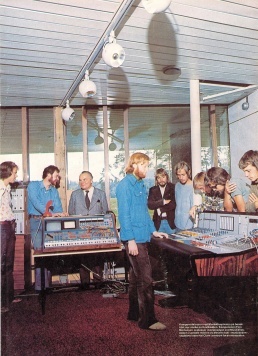 In April-May 1970, her commission, kinetic sculpture Blikk [Glimpses], which used computer-controlled light and lasers, and was made in collaboration with the composer Sigurd Berge and the author Jan Erik Vold, was shown at Høvikodden (Berge's electronic composition was released in 2010, see below). The multimedia piece was so complicated to produce that the engineers Halvor Heier, Birger Komedal & Harald Schiøtz was hired for technical assistance. Naum Gabo's lecture at the University at Blindern, 1967. 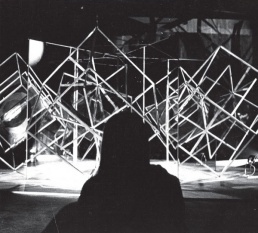 Kunstnernes Hus hosted the first kinetic art show in May 1968, including works by Yaacov Agam, Julio Le Parc, Richard Mortensen, Jesus Soto and Victor Vasarely. 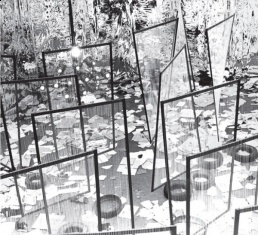 Irma Salo Jæger presented non-figurative paintings and mobiles in aluminium and acrylic. Henie-Onstad Art Centre at Høvikodden opened on 23 August 1968, with Ole Hendrik Moe as director. The programme included a selection from their own collections and jazz, electronic music, ballet and films. List of exhibitions, 1969-79. Kunst på boks [Art in a Box] at the Henie-Onstad Art Centre showed pop art and the latest production and reproduction methods, Jan-Feb 1972. Susanne Rajka, "Norway in the '60s: Image of a Decade", in The Nordic 60s: Upheaval and Confrontation, Helsinki: Nordic Arts Centre, 1991, pp 156-161. 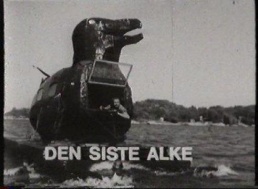 Den siste Alke [The Last Auk] (1971) was an extensive environmental activist expedition. Representatives of 'The Ocean Life guardians' (Heyerdahl, Lars Norland and the cinema photographer Jan Horne) visited the major industrial cities of Europe. Contact was made with local environmental organisations and joint demonstrations staged. Routes were drawn up with particular attention to areas suspected of dumping poisons in the North Sea. In many large cities such as Kiel, Frankfurt, Düsseldorf, Rotterdam and London milieu problems were discussed with inhabitants and people from industry. Television, radio and newspapers reported continuously on 'The Auk' project and where it was stopping. Reactions were overwhelmingly positive from residents and workers. 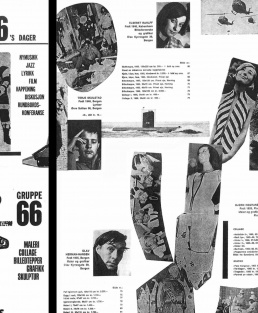 Situationist-influenced Gruppe 66 made some of the first action art and happenings in Norway. Its events saw a mix of poetry, new music, jazz, films, Co-ritus, concrete music, Laterna Magica shadow and puppetry theatre performances using light projection and slides, and participatory events. The motive forces behind the initiative were Jens Jørgen Thorsen from Copenhagen and Lars Grundt. The group was inaugurated at a "living" exhibition in March-April 1966, followed by another ground-breaking exhibition Konkret analyse in October 1970, both at Bergen Fine Art Association [Kunstforeningen]. The latter exhibition also involved public debates with politicians. The Finnegård circle, the free textile artists (Brit Fuglevaag, Siri Blakstad, Elsebet Rahlff; while Hannah Ryggen was creating socially committed textile works from the 1920s ), Gras group (Kjær, Kleiva, Krohg, Radlgruber, Raaen, Storn), Wencke Mühleisen. Several Norwegian artists also participated in the Situationist group Drakabygget in Sweden. Oddvar Torsheim et al. (ed. ), Gruppe 66. Grafikk-lyrikk, Bergen: Gruppe 66, 1966. 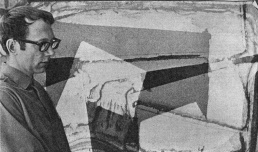 Gerd Hennum, Med kunst som våpen: Unge kunstnere i opprør 1960-1975, Schibsted, 2007, 254 pp. ISBN 9788251624398 (Norwegian). , Review, Review. Gerd Hennum, Susanne Rajka, Svein Aamold. 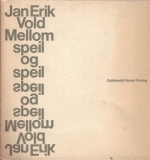 Jan Erik Vold's first book mellom speil og speil [Between Mirror and Mirror] (1965) contains several examples of pattern poetry ; followed by the conceptual book of concrete poetry blikket [the look] in 1966. 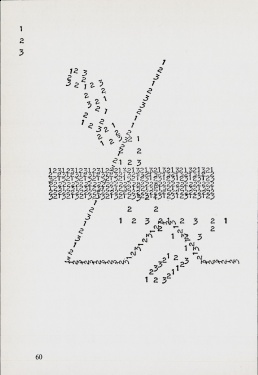 Later, several works of concrete poetry appeared in the anthologies Gruppe 68: Ny norsk diktning (1968) , and Åtte fra Bergen (1969) . Arne Nordheim's sound installations: Solitaire, Lydbar, Poly-Poly (1960s-70s). Arnold Haukeland and Arne Nordheim's sound sculpture Ode til lyset [Ode to Light] at Blindsentret in Skjeberg, 1968. Arild Boman's computer music works Interludium, 1967; Mr. Gorgon, 1968; Diade I, 1969; Diade II, 1969 (all from the series Dialectiques; and the electronic music composition Ecumène, 1969, were presented at the Norwegian pavillion at the Paris Biennial in 1969 . In the 1970s, he had a concert at Kongsberg church with a composition based on biblical texts read into computer from punch cards; and made ​​pioneering experiments with interaction over satellite, working with chamber musicians from Europe and rasta musicians from Jamaica. Impulser computerkunst [Computerkunst – Impulse; Computer Art], Deutsche Bibliothek and Henie-Onstad Art Centre, 1971. Traveling exhibition managed by The Goethe-Institut (1971-73), with works by the artists from Germany, United States, United Kingdom, Austria and Japan. Keiserens Nye Slips [The Emperor's New Tie] electroacoustic music composition by Kåre Kolberg was composed and recorded in 1973 at Electronic Music Studios in Stockholm using a PDP 15/40 computer, and was programmed in EMS-1 computer language developed in the same studio. It was commissioned by Fylkingen, Stockholm. Exhibition Arkitekt og Computer [Architecture and Computers] at the School of Architecture [Arkitekturhøyskolen] in Oslo, 1977. Rolf Aamot completed a number of courses at the National Film Education / National Study Centre of Film (1969-77) and at the Dramatic Institute in Stockholm (1973). Together with Bjørg Lødøen he created many works for television between 1967 and 1988. His visual music [billedmusik] was initially combined with electronic music, and gradually incorporated theatre, ballet and other elements. Early works: Evolusjon [Evolution] with electronic music by Arne Nordheim (first presented in 1966; TV-broadcasted on 28 May 1967) ; Relieff, with electronic music by Bjørn Fongaard and choreography by Edith Roger (21 April 1968) ; BSK (1968); Visual (1971); etc. (More). Between 1967 and 1974, Arne Nordheim worked on television pieces with Rolf Aamot, but also with Per Kleiva and Norwegian Broadcasting Bureau technicians and directors such as Ole Henrik Moe, Stein-Roger Bull and Rolf Clemens. 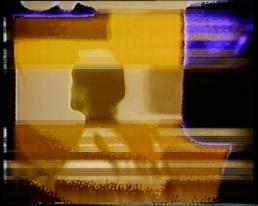 Jan Horne made a work for television called Plym-plym (1968), in collaboration with the composer Kåre Kolberg who was inspired for his work for choir by the poem by Stein Mehren. The work was presented at the Paris Biennial in 1969 . Arne Nordheim, Selected Works for Television 1967-1974, Prisma Records (PRISMADVD002), DVD, 2013. Contains Evolution, 1967 (with Rolf Aamot), and Greening, 1974 (with Per Kleiva and The Oslo Philharmonic Orchestra). , . Kristin Bergaust, Linjer [Lines], 1986. Marianne Heske has been working with video since the mid-1970s   ; later began creating 'video paintings' , shown also at the Venice Biennial in 1986  and PS1 in New York, 1988 . Kjartan Slettemark worked also with video from 1978 onwards. Brit Bøhme created several videos in the second half of the 1980s. In 1990, the Intermedia Department was established at the Academy in Trondheim with Jeremy Walsh as its first director. Short Film Festival [Kortfilmfestivalen] in Grimstad, which started in 1978, featured video programmes. 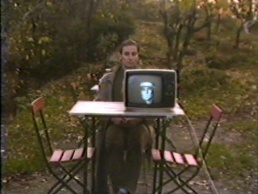 Videokunst [Videoart] at Galleri 1, Bergen, 1984, curated by Jorunn Veiteberg. Norwegian video programme compiled by Terje Munthe was shown at DAAD Galerie in Berlin in October-December 1986. Works: Kjell Bjørgeengen, DRIFT (1984); Marianne Heske's video-installation 1 und 2 Januar (1986); Munthe, Tournesol (1986); Oddvar I.N. 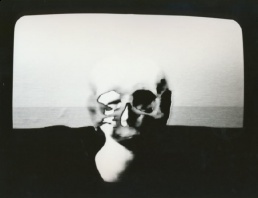 Daren, A Piece of Landscape (1983); Camilla Wærenskjold, Sigel, metamorfose (1986), and Holy Toy, Hoax (1986). The programme was part of the exhibition N/B OREALIS, and is documented in a catalogue. KunstVideo! [ArtVideo] show at Galleri F15 in Moss, 1988, curated by Jorunn Veiteberg. Video exhibition at Hordaland Arts Centre, 1989. PARADOX. Positions in Norwegian video art 1980–2010, The National Museum in Oslo, February-August 2013. Curated by Eva Klerck Gange. Arne Nordheim in the World of Art: No "-Isms" for Me, Please!, Henie-Onstad Art Centre, August 2013-January 2014. Curator: Lars Mørch Finborud. Attempts to preserve early video (ie. works by Marianne Heske and Kjartan Slettemark) were made in the late 1990s within the Media Culture project headed by Arild Boman. Videokunstarkivet, Norwegian video art archive, was initiated in 2012 by The Arts Council Norway, with Per Platou as project leader. Researchers include Marit Paasche, Ivar Smedstad and Anne Marthe Dyvi. In 2013, the National Museum hosted a retrospective of Norwegian video art from the period 1980–2010 (see above), with the works by more than twenty artists structured along eight themes. The research and accompanying programme was documented on a blog. Arild Boman, Videogrammer og mediekultur: forskning og kunst, Oslo: Oslo University, 1981, 15 pp. Kunstcentralen/Made.no, Arkiv norsk videokunst 1970–2000, Oslo, 2004. Oslo, Bergen, Stavanger, Trondheim, Moss, Kvinesdal, Grenland, Barentsburg (Svalbard), Sandnes, Tromsø, Kirkenes, Rjukan, Grimstad, Kristiansand. This page was last modified on 23 November 2017, at 19:56. This page has been accessed 74,531 times.